What’s Happening in the Heart of Kits! The West Broadway Business Improvement Association (WBBIA) provides local businesses with updates about the business area and our latest initiatives including marketing, street beautification, safety, affiliations and advocacy. The business area spans from Collingwood to Larch st., and all businesses within this boundary are members of the WBBIA. A collaboration between Small Business BC, the City of Vancouver and Vancouver BIAs, Bizmap provides easy access to market data tailored to customized business districts. Presented in a clear and relatable way, the area-specific information will help local businesses, organizations, and interest groups to understand valuable information about the neighbourhood and area highlights. Visit bizmap.ca to begin your journey into tailored market research. The City of Vancouver wants your help to understand the space needs of Vancouver businesses. They are conducting a review of Vancouver’s employment lands and economy, to help develop a plan to ensure local businesses have enough land and floor space to support the growth of our economy. As a business owner or operator in the city, you have valuable insight to contribute to this plan. You can provide input through a short, confidential survey where you can share characteristics of your business, your space preferences, and some of the challenges you may have experienced doing business in the city. The information and feedback collected will help the City develop recommendations for supporting Vancouver’s employment lands and our economic future. Take the survey at vancouver.ca/employment-lands. The survey is open until April 2019. VanConnect app is a quick and easy way you can report public space / street issues around your business and request services from the City. Reporting can include sidewalk repairs, potholes, graffiti on public infrastructure, broken street lights, garbage, parking issues, etc. Submit service requests anywhere, any time. Give a short description of the issue, GPS the location, and upload a photo. Get updates, news, and emergency info, and find community centres, parks, road closures and more. Use your GPS to get local, real-time information and events about your community. 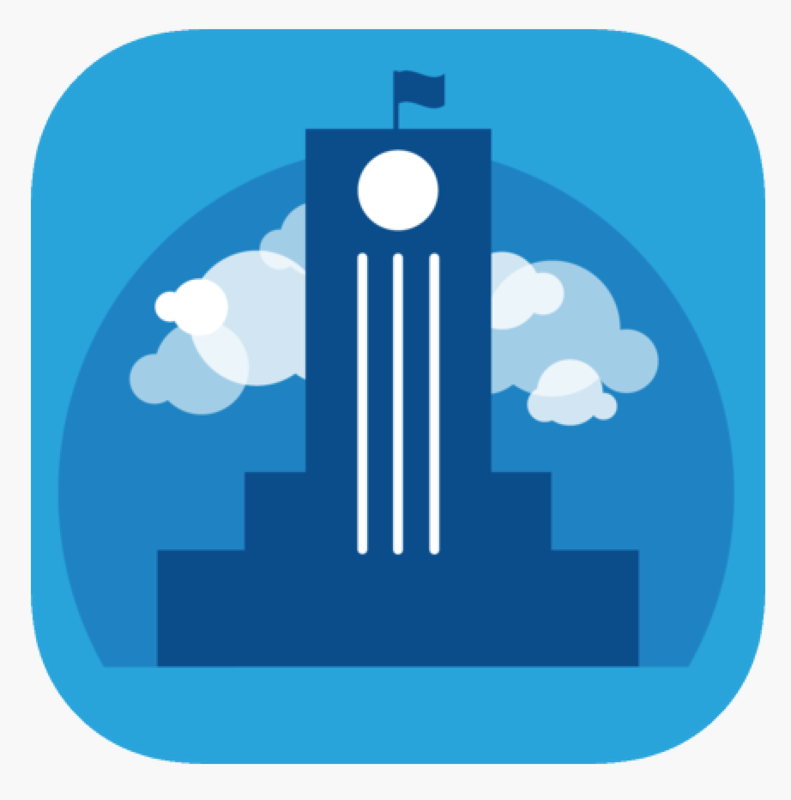 Watch Council meetings, connect with Mayor and Council, view the latest news, events, and more. If you’re on a desktop, there is also desktop reporting. In addition to the app, you can report issues and submit a service request by phone by calling 311 in Vancouver, or 604.873.7000 outside of Vancouver. Connect with your fellow merchants! Click here for the West Broadway BIA Business Directory. The directory includes the location, website and social media contact information for 300+ local businesses in the West Broadway BIA! A visitors map showcasing many businesses from the Kitsilano area – on West Broadway and beyond! Click here for the Kitsilano Area Map. To be featured, contact Jeremy Mills at info@landmark-maps.com. Click here for a list of safety, business and community-related resources, including graffiti removal resources. Commercial property taxes are resulting in business closures and threatening the livelihood of Vancouver neighbourhoods. Building on the advocacy efforts and positive impacts of the Fair Tax Coalition, the Vancouver BIA Partnership, representing 22 business areas in the City, are working to address these issues and help keep small businesses alive. Click here for the letter submitted to the City, and here for the letter submitted to the Province. We encourage merchants to share your stories with us, and let Mayor and Council know how this issue is affecting you. Click here for the merchant/community notice distributed in previous outreach, and click here for a sample letter. Click here to view a Property Tax 101 Presentation. The West Broadway BIA would like to relay the following information about the Millennium Line Broadway Extension Project, from VCC–Clark to a new station at Arbutus Street, and the proposed transit extension to UBC. We will continue to provide transit updates from TransLink, the City and community stakeholders. In addition, the Vancouver BIA partnership – made-up of Vancouver’s 22 BIAs – has formed a transit committee to advocate and support small businesses, to relay information and input between the business areas and transit organizations, and mitigate potential impacts to the area in future. Please click here for a brief survey to provide your input, comments and concerns, about the transit extension on Broadway and proposed plans. “Over the next 30 years, Metro Vancouver will welcome 1 million new residents and 600,000 new jobs. As the region grows, so do its transportation needs. The Broadway Subway Project will be a direct extension of the existing Millennium Line. Continuing from VCC–Clark Station on an elevated guideway for 800 metres, the extension will then travel approximately 5 km beneath Broadway. The project includes 6 new stations and ends at Arbutus Street. A future phase of investment will connect rapid transit all the way to UBC’s Point Grey campus. Rapid transit along this busy corridor has been identified as a key requirement for ensuring our region stays connected, efficient, and economically strong. With the roll-out earlier this year of the first phase of the 10-Year Investment Plan, early works and engagement for the Broadway Subway is underway. TransLink, the Government of Canada and the Province of B.C. are contributing more than $9 billion in transit and transportation investments across Metro Vancouver to achieve the Mayors’ 10-year Vision. The Province committed to funding 40% of Phase Two which includes this project, rapid transit south of the Fraser and several others. Visit broadwayextension.ca to subscribe to project updates and find out about future engagement opportunities. Click here for the Millennium Line Broadway Extension Project Overview and Update – June 2017. Hollywood Theatre: The Show Will Go On! The City of Vancouver approved plans that will reopen the doors to cinema and more at the Hollywood Theatre! Thank you Marianne Amodio Architecture Studio and all of the Hollywood Theatre development team, City of Vancouver, Save the Hollywood Coalition, community members and everyone who helped make this possible! The BIA was grateful to facilitate community meetings with the proposed owners/operators, architects and community stakeholders, and be part of the consultation sessions. There was extensive outreach and constructive dialogue about how this beloved venue can engage and benefit the community at-large. Click here to review plans for the revitalization of the Hollywood Theatre (3123 West Broadway) as a multi-use entertainment facility in 2019! The building owner, prospective developer and operators are committed to bringing arts, culture and entertainment to the neighbourhood. An enhanced theatre will provide access to the arts for the local community and bring increased energy and commerce to the local business area. To view the City of Vancouver Public Hearing meeting minutes or watch the meeting online, click HERE. Have you had difficulty understanding regulations for a renovation, new construction, or new space? Do you feel like your permit process was delayed due to complex layers of requirements? The City of Vancouver is launching Regulation Redesign, a comprehensive review of its land use regulations and policies to make them more user-friendly and to help streamline permit review processes. As part of the launch, a roundtable was also hosted in November 2018 to hear experiences and identify issues from people, businesses and organizations impacted. View the Regulation Redesign presentation which contains background information on the project key objectives. For more information about the project or to sign up on the mailing list visit: vancouver.ca/regredesign. The Vancouver BIA Partnership represents 22 Business Improvement Areas, which together represent thousands of businesses and property owners in the City of Vancouver. Our members are on the front lines when it comes to property crime, cleanliness, and disorder on our commercial streets. Over the past several years, our province, and Vancouver, predominantly, have been overwhelmed by the deadly opioid crisis, now claiming over four deaths per day in BC. During this period, however, the strain this has placed on Vancouver’s business operators and employees has largely gone unnoticed. In addition to our city’s overstretched first responders, businesses are finding it increasingly difficult to deal with the effects of this provincial health crisis. Our business owners and frontline staff are finding overdose victims in their washrooms or on their doorsteps on a daily basis, and even more are dealing with the increasing disorder of rampant public urination, defecation, and the hazardous materials discarded on and around our commercial streets and laneways. As proud and active stewards of our communities, the 22 BIAs, in partnership with the City of Vancouver, are taking considerable measures to pick up discarded needles and educate our staff, customers, visitors, and families alike on proper safety procedures for dealing with overdoses, but these short-term solutions are still not enough. There is growing consensus from healthcare based community partners, as well as the Federal Government that, for drug users who do not respond well to traditional treatments, injectable opioid assisted treatment reduces the use of illicit drugs, and thus, reduces the likelihood of death by overdose. These treatment options are radically underfunded, yet have incredible potential to curb the overdose crisis, improve our addictions system of care, and save taxpayer money. The average patient at Crosstown Clinic costs $27,000 per year, while that person would cost taxpayers an estimated $45,000 a year in petty crime, policing and court costs, jail time and reactive health care costs. The Vancouver BIA Partnership supports an immediate expansion of opioid treatment options, including injectable therapy programs like those at the Crosstown Clinic. The Partnership has sent a letter to Premier John Horgan, Minister of Health, Adrian Dix, and Minister of Mental Health and Addiction, Judy Darcy demanding immediate action. Taking these measures will dramatically improve the health and long-term wellbeing of local drug users, making our world class city and the businesses that bolster our communities safer for everyone. Work Local, Shop Local & Enjoy the Discount! Do you work in the West Broadway business area (between Collingwood to Larch St.)? If so, you can receive a discount at participating businesses! Stay tuned for exciting information about our Shop Local App, in final stages of development and launching soon! For more info on the WBBIA Staff Discount Program or to register as a participating business, please contact us. Thank you for joining us for the 2018 AGM on September 26th at Stock Home Design. It was a positive and proactive meeting with local merchants and community organizations, local eats and treats, and BIA operations and projects reviews and highlights. Thanks for the constructive dialogue and inspiration! And special thanks to Stock Home for hosting, and Be Fresh, Bon Macaron, Broadway Wine, Jun Sushi, Nuba, Olympia, Nat’s and Uno Gelato for the yummy meeting refreshments! We look forward to working together and continuing to promote and enhance the area and support local small businesses. For more info, please contact info@kitsonbroadway.com. Click here for the Annual Report, including BIA info, 2017-18 project highlights, community partners and exciting projects ahead! Click here for the AGM meeting documents, including agenda, financials, proposed budget, and membership forms. Click here for a full copy of the BIA financial statements. If you have input or ideas about local initiatives and the business area we would love to hear your feedback. Please complete our brief survey here. Based on input from businesses and initiatives since our 2011 formation, the BIA developed a strategic plan with key objectives in areas of marketing and branding, events, street enhancement and safety, member and community engagement, and advocacy. The next step is developing an operating plan to focus on projects that will provide the greatest impact and benefit for the business area. We will continue to provide updates and seek feedback about BIA initiatives. To enhance the prosperity of our local businesses through engaging and cooperative initiatives that connect our community. Please click here to review our strategic plan summary. We look forward to your input and working together to put plans into action! Great news! The West Broadway BIA, formed in 2011, is now in it’s 2nd five year term with more resources to benefit businesses, promote and enhance the area, engage community and connect with patrons! Over the last 5 years, with the smallest budget of 22 business areas, we have resourcefully implemented valuable initiatives, including: street lighting, street cleaning, banners, directory brochure, merchant promotions, events, social media, business updates, advocacy (business permits, commercial tax levels) and community partnerships. Our new budget and renewal term spans from 2016 to 2021. We held a planning session with local businesses and organizations and received valuable input for our strategic plan to kick off the next five years of local enhancements! Please click here for the meeting notes. Over the last 5 years, the Business Association has operated with limited resources to promote and enhance the business area. Valuable initiatives include: street lighting, street banners, digital marketing, merchant promotions, events, business updates, advocacy, community partnerships. Building on what’s been done, your input is essential to develop the plans and budget for the BIA’s second five year term, 2016-2021. Click here for more information about the BIA renewal. What can help your business? What is important for the business area? Your input = better output. Network, learn, and most importantly, have some fun in a local venue! Our previous West Broadway Business Mixers included social media presentations, community minglers and other valuable tips for your business. We also provide updates on what’s happening in the business area and projects to benefit your business, including street enhancements, events and advocating for issues facing small businesses. Stay tuned for the next meeting! Tell us about your business (an event, story or item of interest) and promote your business for free! We’ll post news and events online, and via Facebook, Twitter , Instagram and more. We want to spread the word about your business and what’s happening on West Broadway! We Welcome Input & Involvement! The West Broadway BIA Board Members are local business and property owners, and dedicated volunteers. Board meetings are held monthly. To participate, attend a meeting, or to provide feedback and for more info, please contact us.